The story of Berserk is about a man named Guts, who also goes by the name "The Black Swordsman". He looks back on his previous life as a member of his past group of mercenaries called " the Grim Reaper of the Battlefield", which was led by a ruthless and manipulative man named Griffith. Both Guts and Griffith work together to fight their way into the royal court. From there, they must share the fate that will change their lives forever. In order to find a ship to head to Skellig Island, Guts and his band head into the Port of Vritannis. As Schierke wanders around the port, she encounters things that she has never seen before. Guts and his band make it to the sea and get to enjoy some quiet time. That night, Guts and Schierke encounter the Skull Knight. He tells them about the history of the Berserker armor and the Fairy King who could possibly restore Casca. 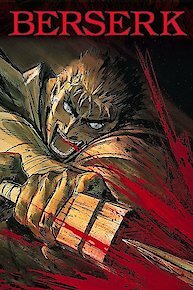 After rescuing Casca and Farnese, Guts has retained grievous injuries from his encounter in the spiritual realm. The group decides to take Guts back to Flora for treatment, only to discover that Griffith has sent an assault force to kill Flora. Guts and crew venture into the Qliphoth to rescue the trapped villagers. Once inside, they're met with a parade of nightmares, and must fight for their lives against hideous creatures. The villagers take shelter in the church from the trolls. Shierke puts up a barrier around the church and that keeps the trolls out, but then an ogre and kelpie also appear in the village. Guts and Serpico go to deal with them to buy Shierke some time. Though Guts and crew manage to make their way to Morgan's village, they receive less than a warm welcome. Nevertheless, Guts' quick wits allow them to stay. After too brief a respite, trolls attack the village once again. Guts receives unexpected visitors with a surprising request. Meanwhile, Griffith and his force continue their advance, gaining new allies both fair and foul along the way. In order to get away from the disasters that the brand brings to them, Guts decides to head toward Puck's homeland. However, traveling with Casca was proving to be difficult, and darkness was stirring within Guts. Guts manages to get Casca back at Albion and returns to Godo's shack. There, he sees Rickert talking to Griffith, who had just regained physical form in Albion. Guts is unable to hold back his rage and attacks, but Zod gets in his way. Seduced by the promises of demons and his dreams from his childhood, Griffith agrees to fulfill his destiny and become one of the God Hand demons. A seal is branded onto the Hawks after Griffith confers with God Hand. Breaking away from the King's pursuing armies, the few Hawks left contemplate their future. Guts comforts Caska, who is despondent over Griffith's condition. Griffith begins to dream/hallucinate and escapes in a wagon. As the Hawks pursue him, a solar eclipse suddenly transforms the landscape into a scene from hell. With Guts help, Caska and the Hawks hope to rescue Griffith. While they are off, a group of injured Hawks are wiped out by demons. Guts, Caska and the rest of the rescue group break a wounded, emaciated Griffith out of the Tower of Rebirth. Guts returns in time to save the remaining Hawks from annihilation. Caska is angry at him, then tries to kill herself in frustration, but Guts stops her. He and Caska become romantically involved. Guts is on the road again, occasionally entering in tournaments for practice. He arrives at the home of Godo the swordsmith and stays there for a while while Godo crafts a new sword for him. Guts practices more on his sword techniques with the help of Godo's little daughter Erika. Then he finds out about what happened to the Hawks and Griffith. Griffith has his revenge by having the Queen's castle burned down, then covers his tracks by having Gatts kill the men he had hired to set the fire. With Griffith's position secure and winter coming, the Hawks relax at the castle. Guts, now 18, decides it is time for him to move on. With the victory at Doldrey, Griffith is promoted to White Phoenix General, an aristocratic title. The Queen of Midland and other court conspirators try to poison Griffith. With the help of Nosferatu Zodd (who threw a sword down on the battlefield after Guts broke his), Guts defeats the defender of Doldrey Castle in one on one combat. The King of Midland and his various generals confer about Doldrey Castle, long since captured by the Chudan Empire. Griffith plans an attack and the King agrees despite the protests of his other officers. Only one other general supports Griffith's actions. The Hawks attack Doldrey. Caska finds Judeau's division of Hawks and leads them back to where Guts was fighting alone. Although injured, he defeated all the enemy soldiers by himself. They return to the Hawks' camp and Caska tends to Guts' wounds. But since Guts knows of Caska's feelings for Griffith, he pushes her to him and walks off. As people struggle to survive the onslaught of demonic forces, the eclipse reaches its zenith. What will happen when the prophesied God materializes among mortal men? Griffith saves Charlotte when her horse bolts during a fox hunt. Yurius, the king's younger brother, attempts to have him assassinated, but the assassin's arrow strikes Griffith's pendant and leaves him unhurt. Griffith plots his revenge. Griffith and Guts continue to have success in battle and Griffith is made a count. General Yurius is furious about this, and the minister Foss plants the idea of murder in his mind. The plan is to shoot Griffith with a poison arrow during an upcoming hunt. Guts is now a commander in Griffith's army and he is taking great risks in battle. Although he succeeds, Casca takes him to task for it. Griffith is knighted and the nobles become jealous. Guts saves the Hawks in battle, to Casca's chagrin. Griffith and Guts develop their friendship. Griffith shows his "Ha-ou no Tamago" pendant. Guts reminisces about his childhood. He had been adopted by a fighter named Gambino, who trained him to fight. But Gambino became violent and despondent after being injured and one day tried to kill Gatts. In self defense, Guts killed Gambino and ever since, has been a traveling sword for hire. Berserk is currently available to watch free on Crunchyroll and stream on . You can also stream, download, buy, rent Berserk on demand at Amazon, Google Play, iTunes online.